Nothing soothes the soul or warms the cockles of autumn better than a warm beverage. A mug of hot apple cider has become a time honored Fall tradition in our family and last year, we discovered that this yummy treat is easy to transformed into an annual fundraising event that no one can resist. You’re probably thinking that hot apple cider by itself does not a fundraiser make. Well, you’re right. The great thing about combining an apple cider tasting with a bigger, more elaborately event, like an open house or a bake sale, is that it can span an entire day or weekend if it’s promoted well. In fact, an apple cider tasting can be combined with a fundraising open house, which gets guests there with cider, but places the awareness on your charity group and the cause that’s close to your hearts. Another fabulous way of combining your apple cider fundraiser into a larger, tastier event is to combine it with a bake sale themed around apples. Just think, a mug of hot apple cider accompanied by an apple fritter, apple crisps, apple sauce, apple crisp, apple tarts, homemade apple pie, caramel apples, or for the healthy at heart, fresh red and green apples. This is a combination that’s perfect for church, community center and school charity events. After all, hot beverages and baked goods really go hand in hand, and combined, this will bring in double the profits towards your charity cause. You can take on all of the baking yourself with the help of volunteers, of course. Or you could approach a local bakery and ask them to supply the baked goods in the name of charity in exchange for the free promotion of their small business. Then all you need to do is set up a baked goods display offering samples for tasting and slices of cake and pie, as well as squares and cookies for sale. You could also sell your baked goods in bulk for a higher price. If you are using the goods of a local baker, you could also offer to take bulk orders for pick up from the bakery and take a small percentage for your fundraising cause. If you’re not a farmer or cider maker, the first step will be finding a local apple cider producer that would be willing to share their wears with your guests. In exchange for the free promotion (a sponsorship title and details for where tasters can buy more), your cider source might even be willing to provide their homemade brew for free. 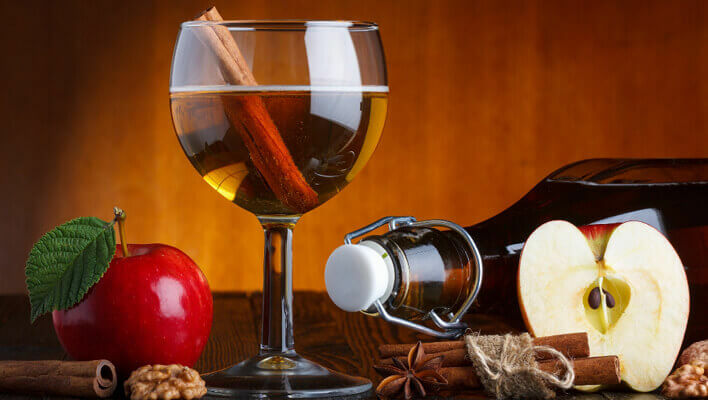 If they have more than one cider available at their store, you could offer this opportunity as testing ground for their products to determine what flavors are the most popular (e.g., apple cinnamon, apple pear, apple spice, apple brandy, etc.). Think of it as free marketing research for the supplier who, in exchange for providing the hot apple cider, takes the tasting feedback from your fundraiser and uses it to stock up on the more popular apple ciders and refine the less popular brews—everyone wins! The key to securing the apple cider and baked goods for your fundraiser really is the promise of free customer feedback and business promotion. Go one step further for your suppliers when asking tasters to complete a feedback card. In addition, ask them for their email addresses on the comment cards so both the cider provider and the bakery can add them to their customer mailing lists.